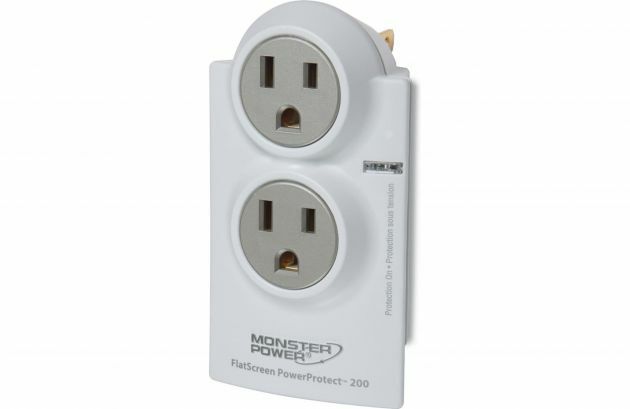 The Monster FlatScreen PowerProtect 200 safeguards your flat-panel TV from harmful power surges and spikes. Two protected AC outlets keep your gear safe — one for your TV and one for your DVD player or another component. A protected coaxial connection guards against surges coming through your cable or satellite TV line. And the direct plug-in design lets you use the outlet behind your TV, keeping things neat and cords out of sight.